Did you know October is National Roller Skating Month? 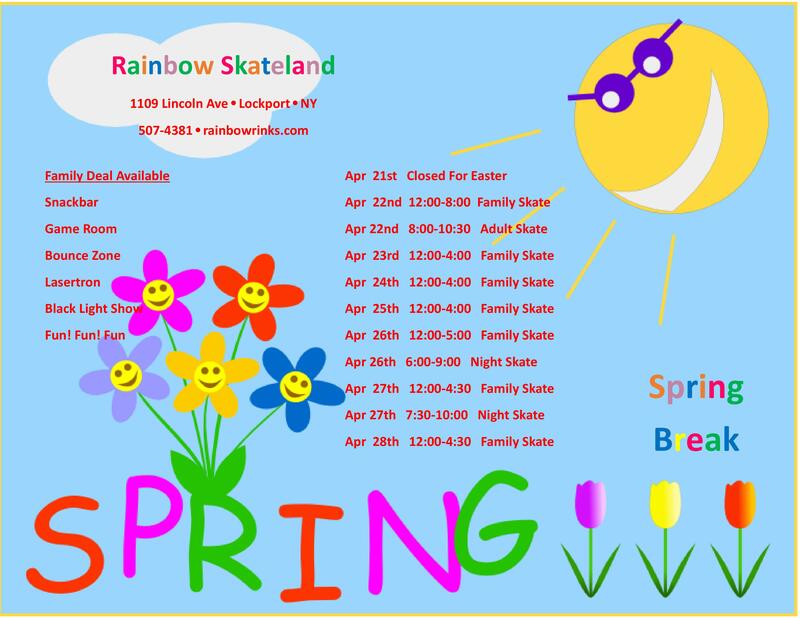 At Rainbow Skateland we’re totally excited to celebrate. Since roller skates debuted at a party in 1760, they’ve been super popular–almost 40 million people skate every year! Roller skating is a great activity for kids, families, adults, and everyone in between. Check out all the benefits of skating! It Helps Your Mood. Exercise has been shown to decrease symptoms of anxiety, depression, and even attention problems, plus reduce stress. Exercising with friends while listening to great music in a fun environment like Rainbow Skateland means you’ll feel that much better! It Helps your Brain. Learning a new skill is a great way to keep your mind fresh. There’s even evidence that learning new things can help prevent dementia. It’s a Great Workout! Roller skating offers a cardio workout similar to jogging. Skating is good for the lungs, heart, legs, and the muscles of the core, which are so important for posture and preventing back pain. Plus, skating is easier on your joints than running or walking, because it’s so low-impact. Your knees especially will appreciate that! It’s Fun! Sometimes fun is the only excuse you need. Get together with your family for a special bonding night, or invite friends for an adult-only skate session to revisit fun memories from childhood! Check out our schedule to see what times work best for your group. Whatever your reason for celebrating National Roller Skating Month, we hope you’ll do it with us at Rainbow Skateland in Lockport, NY!